Welcome to Trains & Railroad of the Past’s Extra Board! 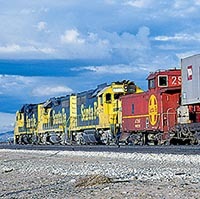 We explore a different perspective of classic late era railroading every month. Extra Board welcomes your submissions. We’re looking for about 1500 words accompanied by two or three photos. Each photo should be no smaller than 14 inches (or 1024 pixels) across at 72 dpi (no verticals, please). Brief caption information must accompany each photo. Please send your inquiries to the Webmaster for consideration. I had the privilege of working as an extra-board tower operator on the EL New York Division during my college summer breaks from 1971 thru 1974, and I would try to catch cab rides on my days off. 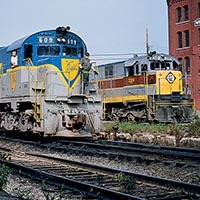 It was a summer day in August 1973, and I caught a ride on the CX-99 piggyback freight from Port Jervis to Hornell, N.Y., with a return on hotshot DN-90. There’s something electrifying about helper operations. 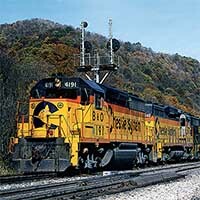 They are often dramatic events because these engines frequently travel through beautiful scenery, with heavy trains crawling up steep grades. My grandfather was a mechanical engineering professor, and near the top of his list were railroads. When I was about eight years old he started taking me train watching. One day in 1956, he announced that we were going to take a trip to Binghamton because that was a very busy place with no less than four different railroads. 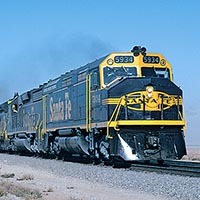 I can’t believe it’s been 45 years since my infamous railfanning trip out west. A lot has happened in the last four-plus decades, but this was one of the most unique railfan events that I have had the good fortune to experience. One of the places that I have had the greatest time chasing and photographing trains has been eastern North Carolina, especially in the mid to late 1970s and into the 1980s, when you could find Seaboard Coast Line, Southern, Amtrak, and a number of colorful shortlines. 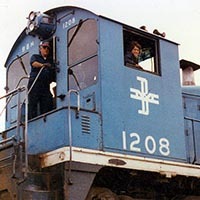 Family friends arranged a visit to Boston & Maine’s Manchester Yard in October 1977 to allow a 13-year-old train nut a chance to live out his dream of working for the railroad. 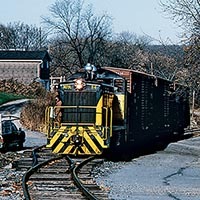 Although the Missouri Pacific was never a high priority for us, we managed to photograph, either together or separately, operations of this railroad in six of the nine states in which it had a major presence before or within a few years after its merger with the Union Pacific in late 1982. 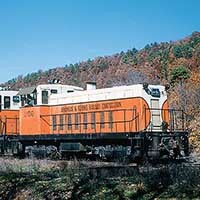 The colorful Arkansas & Ozarks Railway picked up where the Missouri & Arkansas Railway left off, beginning operation under Salzberg management in 1950. Just ten years later, the line would be shut down and abandoned due to severe flooding and mounting losses. 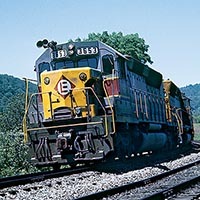 Many railfans are drawn to railroad operations that use antiquated equipment and pass through scenic countryside, qualities which the original Ma & Pa had in spades. Being close to major eastern population centers, the Ma & Pa was accessible and became an early favorite among railroad enthusiasts. 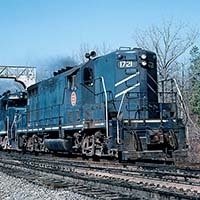 The Baltimore & Ohio in the Chessie System era remained a busy conduit for freight, especially across the M&K Division in West Virginia. Join photographer Dave Ori for a colorful look back. Trains & Railroads of the Past, ©2015-2019 White River Productions. All rights reserved. 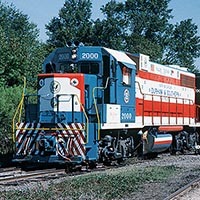 Trains & Railroads of the Past celebrates classic North American railroad heritage of the 1960s, 1970s, and 1980s.